We’d love your help. Let us know what’s wrong with this preview of The Recipe Box by Viola Shipman. Growing up in northern Michigan, Samantha "Sam" Mullins felt trapped on her family's orchard and in their pie shop, so she left with dreams of making her own mark in the world. But life as an overworked, undervalued sous chef at a reality Bestselling, beloved author of The Charm Bracelet spins a tale about a lost young woman and the family recipe box that changes her life. To ask other readers questions about The Recipe Box, please sign up. I'm listening to the audiobook. This story takes place in Michigan. Did anyone think to research the pronunciation of the places named in the story? Mackinac is not Mack in ac. It's Mack in naw! 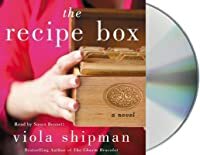 The Recipe Box by Viola Shipman is a 2018 Thomas Dunne Books publication. This book just has that summertime feel to it. Sam Mullins always had an urge to break free from her family’s traditions. She wanted to fly far away from Michigan and the orchard and pie shop her parents and grandparents owned and operate. She finally escapes to New York, determined to be a premier baking chef. But, just as she lands a premium job opportunity, she quits and heads home to regr The Recipe Box by Viola Shipman is a 2018 Thomas Dunne Books publication. This book just has that summertime feel to it. Sam Mullins always had an urge to break free from her family’s traditions. She wanted to fly far away from Michigan and the orchard and pie shop her parents and grandparents owned and operate. She finally escapes to New York, determined to be a premier baking chef. But, just as she lands a premium job opportunity, she quits and heads home to regroup. Her family is bewildered by her sudden appearance and she tries to keep the truth from them. Each day Sam struggles and fights with all her might against the urge to stay and continue her family’s legacy. Will she discover her real passion has been right under her nose all along or will she return to the rat race, never truly settling down long enough to achieve her goals? "Someone once told me on my thirteenth birthday that a recipe box is the story of a family's life, of who we are, where we came from, how we got here, and where we are now"
I will warn those who are dedicated and monogamous to all things dark and twisty, or to those who can only take heartwarming stories in small doses, that this book is beyond sugary sweet. In fact, I may need a dentist to check for cavities after reading this book and drooling over all those recipes for cookies, pastries, and pies!! Sam is a familiar type of character, one that sees things in either black or white, and carries around a hefty amount of snobbery, thinking she is just too good of a chef to lower herself to baking homemade recipes from an old recipe box passed down through the generations. She’s even a pretty big snob when it comes to romance, as well. But, her potential love interest may not have been college educated, but he is pretty darned savvy and is quite the visionary- and very, very romantic! Naturally, Sam gets put in her place a time or two, and learns many valuable lessons about life along the way- including the secret to having success and happiness all at once. "Expectations are just preconceived resentments. You set yourself up to fail even when you don't do anything wrong"
This is just the type of book I am drawn to during the long days of summer, when the sun shines bright and relaxing days at the beach or at poolside replace strict schedules, pressure and stress. These feel good stories are so regenerative at times. I don’t want to over indulge with too many sweets, but adding a rich dessert into your diet once in a while balances things out, and often lifts and refreshes my spirit. This is a wonderful story, very light and gentle, warm and fuzzy, and sweetly sentimental. Sam grew up in northern Michigan on her family‘s orchard, always longing for the big city.... there are so many books with this theme... and as somebody who grew up in the “big city“ I think it would be quite lovely to live in one of these charming places I so often read about... I guess the grass is always greener and all that.... so Sam realizes her dream and gets a job as a chef in NYC... but when it turns out her boss is a fraud, she returns home, feeling like a failure.... but will she finally see the magic in the family orchard? Confession: I’ve bought all of Viola Shipman’s books because I cannot resist the covers! I was thrilled to read an early copy of the author’s latest book. Viola Shipman is actually a pen name for a male author who chose to write under his beloved grandmother’s name as a tribute to her. You can feel the author’s devotion to his grandmother, and his entire family, in these words, even though this is fiction and not intended to be any type of memoir as far as I know. Another lovely aspect of this book was the coastal Michigan setting. How quaint, cozy, and gorgeous. At the heart of this story is Sam, an aspiring fancy NYC sous chef, who has to move back home to Michigan as a “failure.” Her family owns an orchard and pie shop. Sam has some scars, and it’s through cooking alongside the women in her family that she begins to heal. I loved that each chapter featured a recipe from the family’s recipe box. Overall, a pleasurable read about women healing each other through their love of food. And because I can’t resist the pun, it’s the perfect “palate cleanser” between heavier reads. A recipe box for her thirteenth birthday? Is that what Sam really wanted? Probably not, but it made her mother and grandmother happy so Sam accepted it and made her first pie. THE RECIPE BOX was a gift no thirteen-year-old wanted, but it was a gift that kept on giving throughout Sam's life. We follow Sam as she leaves her loving Michigan home and goes to New York to attend culinary school. She was a hit in New York, but her boss was a fake. To her family’s delight Sam decided to come back home. Sam A recipe box for her thirteenth birthday? Is that what Sam really wanted? Sam comes back to the love and warmth of her family and their bakery and orchards. Was she really ready for this? Did she make the right decision by coming back home? All of the characters were lovable, but Grandma Willo was my favorite as was the story from her youth and her life. Grandma was simply someone you would love to have as your grandmother because of her positive attitude and attention to making sure her family was happy in everything they chose. THE RECIPE BOX is a “sweet,” loving read that makes you want to go into the kitchen and be with grandma making the pies and other delicious desserts. Each chapter was titled with a recipe and inside each chapter we get to join in the family fun and view the ingredients and directions for the yummy food the family makes. THE RECIPE BOX is for anyone who loves to bake with family, who loves recipes, who loves family history, and who enjoys being in a beautiful setting. You most likely will shed a few tears not because of sadness, but because of the warmth and love that oozes from the characters and from things they say. THE RECIPE BOX is a book that is an uplifting, make-sure-you-make-the-right decisions in your life by following your instincts and embracing change. A really nice story about love, family bond, traditions and strong women. And the book contains some delicious recipes! This is the second book I’ve read by Viola Shipman and so far, this is definitely my favorite out of the two. Last year, I had the opportunity to read this author’s second novel The Hope Chest and while it was an enjoyable read for me, it didn’t capture my heart like this third book The Recipe Box did. At the heart of this book was a wonderful story about family, love, relationships, identity, and one of my favorite topics : FOOD -- not just any food though – pies, cakes, tarts, cookies, and This is the second book I’ve read by Viola Shipman and so far, this is definitely my favorite out of the two. Last year, I had the opportunity to read this author’s second novel The Hope Chest and while it was an enjoyable read for me, it didn’t capture my heart like this third book The Recipe Box did. At the heart of this book was a wonderful story about family, love, relationships, identity, and one of my favorite topics : FOOD -- not just any food though – pies, cakes, tarts, cookies, and all manner of delicious baked goods! The story centers around Sam, a young sous-chef for a fancy bakery in New York who ends up quitting her job and returns home to Michigan, where her family owns an orchard and pie shop. Having grown up on the orchard surrounded by a loving family as well as the two women who inspired her love of baking – her mother Deana and her grandmother Willo – Sam returns to her childhood home to “lick her wounds,” sort out the mess she made of her life, and hopefully gain some clarity on the next steps for her future. Sam is welcomed back with open arms and quickly falls back in step with working at the orchard alongside the women in her life who had always meant so much to her – together, as they work through the recipes in the family’s recipe box, Sam not only develops a deeper understanding of her family’s treasured history and legacy, she also embarks on a journey of self-discovery that reignites her passion for baking as well as opens her heart to love. I enjoyed this gem of a story that was filled with characters I adored from the start! I love stories about strong, smart, independent-minded women and this story had plenty of them – from Sam to Deana to Willo, also the generations that came before them with Madge and Alice, even though not mentioned as much but yet still so important to the story, I loved all these women! With well-written and descriptive prose, the story was incredibly atmospheric, to the point that I felt as though I was transported to the Mullins family orchard right from the very first page. In fact, I would say that the setting of the orchard (and pie pantry) became actual “characters” for me, coming vividly alive as the story unfolded and we learned more and more about Sam and her family with each chapter. I felt that the story itself was lovely and heartwarming, though yes it was a bit predictable and perhaps a little too saccharine and sweet, but that’s fine because it was the perfect escape for me after a series of heavier reads and also me dealing with a few rough patches in my own life. From the moment I started reading, I was expecting a light-hearted, feel good story with a plot that wasn’t too complicated and also characters I could possibly relate to – I ended up getting that and much, much more! Included at the end of each chapter was the recipe – ingredients and step-by-step instructions – for making each of the desserts featured in the story, which was a lovely surprise and an aspect of this book that I loved! In addition, I also enjoyed reading about the origin of each recipe as well as explanation of the real-life significance behind each dessert in the author’s note at the end of the book. Even though I most likely won’t attempt to make these desserts myself due to the fact that I’m a lousy cook and an even worse baker, I am also blessed to have wonderful women in my family who are fantastic when it comes to turning food into delectable creations so I know for sure they will enjoy trying these recipes out! I recently found out that Viola Shipman is actually the pen name for Wade Rouse, a male author who writes under his grandmother’s name to honor her. 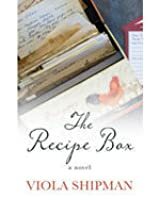 Just like with his two previous novels The Charm Bracelet and The Hope Chest , this book The Recipe Box was also inspired by one of his grandmother’s heirlooms that was passed down to him. As he writes in his author’s note, this book “is a tribute to our elders, especially the women in our lives whose voices were often overlooked in their lifetimes.” What a wonderful way to honor his grandmother and also remind us as readers to treasure the elders in our lives and continue to pass along their love, lessons, family stories, and heirlooms to those we love as well! Wonderful book and definitely a highly recommended read! Received ARC from St. Martin’s Press via NetGalley. Sweet, heartwarming this book brought back so many fond memories of my youth in upper Michigan. This is a book with strong family ties, great relationships, honesty and courage, not game playing. I felt good, peaceful and happy while reading it. A fabulous summer feel good read. I loved this tale of upper an Upper Michigan woman/pastry chef and the orchard her family owns. She was raised on her family's orchard, a multi generation owned business. She wants to make her own mark on the world so she leaves and goes to NY to work under a famous pastry chef. Things happen, life changes, and she finds herself heading home for some thinking and her grandmother's 75th birthday celebration. Once there she is drawn into the power of family and food, and re-centers her life and her heart. Sweet as pie! This is my first book by Viola Shipman and I enjoyed her writing style and her story of love and family and tradition. Reading this brought back so many memories growing up with Mom baking and cooking and friends and family coming over to enjoy it. She still cooks on Sundays for family and almost always has a wonderful homemade cake or pie. This is the story of Sam Mullins who is at a crossroads in life where she needs to make a choice - stay in New York as a pastry chef or go home Sweet as pie! This is my first book by Viola Shipman and I enjoyed her writing style and her story of love and family and tradition. Reading this brought back so many memories growing up with Mom baking and cooking and friends and family coming over to enjoy it. She still cooks on Sundays for family and almost always has a wonderful homemade cake or pie. This is the story of Sam Mullins who is at a crossroads in life where she needs to make a choice - stay in New York as a pastry chef or go home to Michigan and work at the family orchard and pie shop. When she quits her job working for a narcissistic tv baker, Sam goes home to Michigan for a visit with her parents and grandmother. The story alternates between present day and stories of the past and how the family orchard began and grew into what it is now. Each chapter contains a special recipe from the recipe box. There is a lot of good advice in these pages. I love how the story showed the great bonds between great-grandmother, grandmother, mother, and daughter throughout. Four stars for this one! 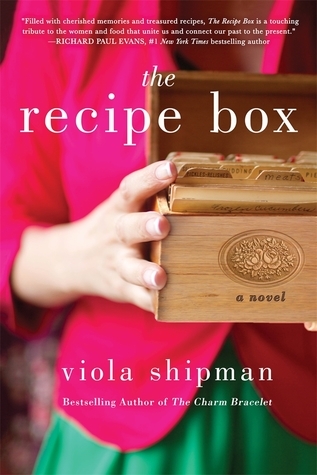 I enjoyed Viola Shipman's first two books and knew that I was in for a treat when I won a copy of The Recipe Box at goodreads. I wasn't disappointed - this was a wonderful book about family and love and relationships between mothers and daughters. Sam Mullins felt like there was too much to explore in the world and didn't want to stay at her family's orchard and pie shop in Michigan. She went to NY, to go to culinary school and got a job at a famous bakery that was often filmed for Good Morning A I enjoyed Viola Shipman's first two books and knew that I was in for a treat when I won a copy of The Recipe Box at goodreads. I wasn't disappointed - this was a wonderful book about family and love and relationships between mothers and daughters. Sam Mullins felt like there was too much to explore in the world and didn't want to stay at her family's orchard and pie shop in Michigan. She went to NY, to go to culinary school and got a job at a famous bakery that was often filmed for Good Morning America. She finally had her fill of the pretentious baker who ran the bakery and quit to go home to Michigan to see if she could figure out what she wanted to do with her life. Sam felt like a failure when she got home but as she works along with her family - especially her grandmother, she begins to see what is important in life but is unsure if she will be able follow her dream. It would be nearly impossible for me to dislike this book. Pretty much a slam dunk. I did find the language repetitive and the main character cluelessly unappreciative, but it still worked...because, did I mention the pastries?! I could smell them from the pages. One thing I know for certain...after reading this book the reader will either crave everything sweet or swear off of sugary treats forever! This book contains just about everything sweet and good that a book should have. It has a family...a Michigan family of bakers who own an apple orchard. The book shares stories from all of this family’s generations of bakers but focuses on Sam...she is the latest generation. She is a professionally trained chef working in NYC but...she comes home to Michigan and her family because she is at a unique point in her life. Sam needs to find out what she really wants to do with her life...is her happiness in NYC or is it in the big kitchens of her grandmother’s apple orchards. Only Sam can figure out her destiny. The cover of this book is deliciously enticing as are the many recipes it contains. The book details the strength of the women who have maintained and grown this orchard over the years. The book also details what life is like in Michigan near the largest lake ever. Viola Shipman used the most beautiful descriptive language when she described summers near Lake Michigan. Blues and greens and emeralds and incredibly lovely waters. Every time Sam or her dad took a bite of a crisp apple that fell from a tree right into their hands...I wanted one, too! And I can’t forget to mention the recipe boxes and their keys...the recipe cards dotted with butter and berry stains yet treasured over time. But that’s something the reader will savor while reading this book. Readers who enjoy lovely family stories that have just a bit of angst...and tons of recipes containing apples and cherries...should enjoy this book. Just be prepared to bake something after every chapter. Sam gets fired from her prestigious-on-paper pastry chef job in New York City and returns home to northern Michigan with her tail between her legs. She is struggling with striking the balance between what she thinks she should be doing and what actually makes her happy. Not unlike many self discovery novels, Sam is her own worst enemy when it comes to both romantic relationships and her career. Sam needs to look no further for answers than her own family. Which is where this all goes wrong for m Sam gets fired from her prestigious-on-paper pastry chef job in New York City and returns home to northern Michigan with her tail between her legs. She is struggling with striking the balance between what she thinks she should be doing and what actually makes her happy. Not unlike many self discovery novels, Sam is her own worst enemy when it comes to both romantic relationships and her career. Sam needs to look no further for answers than her own family. Which is where this all goes wrong for me. Metaphors hang heavy with folksy wisdom and are constantly referenced and acknowledged by the seemingly flaw free characters, the magical grandma in particular. 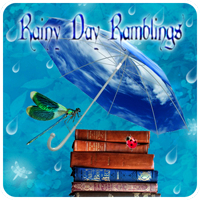 The homespun and cozy care Sam receives feels like being hit over the head with a pie plate over and over again. You will not be surprised that shared family history is just the balm Sam needs. This is a world of syrupy sweet goodness, an unrelenting tone that feels overwhelming false. On the positive front, and why I actually finished this is the lovingly described setting of Suttons Bay in northern Michigan. The atmosphere was a wee bit over done, but it feels like a love letter to Pure Michigan. This would be a good read for fans of gentle reads like Jan Karon or Richard Paul Evans. I wanted to love this. Books set in small towns always appeal to me. However, no matter how hard I tried, I just couldn't get into this. I couldn't bring myself to care about the characters. On the surface, there's nothing terrible about Sam. She's kind and sweet. She'd do anything for her family and friends, and she's experiencing a common problem: she doesn't know what to do next after her lifelong dream hasn't exactly gone as she had planned. However, while she has the qualities that make for a likable character, I couldn't bring myself to care about her. There was nothing about her that truly stood out to me, nothing that made her story feel compelling. Her voice didn't capture me, and while I did hope that she found herself again, I wasn't committed enough to find out if she did. The Recipe Box contains multiple POVs/time periods. I understood what Viola was aiming for here - showing how multiple generations of Sam's family have found their way during tough times - but I wasn't a big fan of how it was presented. The change in POVs felt choppy, and given the length of the chapters, it was sometimes hard to remember what was going on before the change. Additionally, like with Sam, I couldn't bring myself to care about these women. I wanted to, I really did, but nothing sparkled here. In all, The Recipe Box unfortunately wasn't the book for me. My big problem here was the characters. The premise itself was interesting, and I feel that if you like the characters, it would be an enjoyable read. So if it seems like the book for you give it a try! Hopefully you'll love it. Recipe lovers you're going to enjoy this one as each chapter starts off with a recipe and they sound absolutely delicious. Sam grew up in northern Michigan and her families orchard is all she knows. Looking to broaden her horizons while she adds a little excitement to her life she strikes out and lands a job as a chef in NYC. It's her dream job but when her boss turns out to not be who they portray themself as being she feels like a failure as she returns back home to the orchard. Surrounded by Recipe lovers you're going to enjoy this one as each chapter starts off with a recipe and they sound absolutely delicious. Sam grew up in northern Michigan and her families orchard is all she knows. Looking to broaden her horizons while she adds a little excitement to her life she strikes out and lands a job as a chef in NYC. It's her dream job but when her boss turns out to not be who they portray themself as being she feels like a failure as she returns back home to the orchard. Surrounded by family, mother, grandmother I really enjoyed reading interactions between all these strong women. Viola Shipman, Author of “The Recipe Box” has written a delightful, charming and heartwarming story of family, love, tradition and change. The Genres of this novel are Fiction and Women’s Fiction. The story takes place in Northern Michigan and New York. The author describes her characters as likable, resourceful, hardworking, and enterprising. Sam Mullins comes back to the family orchard and pie baking business and shoppes, after a major disappointment in New York City. Sam has trained as a specialty chef, and wanted to leave the family orchard to find herself. Now she finds herself back home. Sam learns about the history of the women in her family, and how the orchard was saved by the women in the family. . All of the women had a recipe box with a special key to keep their treasured baking recipes a secret to be passed down to the woman in the family. The family loves to bake, and baking is symbolic to showing love and following tradition. Is their a recipe that will allow Sam to find where she should be and the answers to her dreams? What does the key to the recipe box represent? I recommend this enjoyable story to those readers of women’s fiction. I received an ARC from NetGalley for my honest review. Samantha arbeitet in New York als Konditorin. Die Arbeit an sich macht ihr Spaß, ihr Chef jedoch ist unerträglich. Eines Tages ist das Maß voll und Samantha kündigt ihren Job spontan und reist nach Michigan zu ihrer Familie. Sie braucht eine Auszeit und hofft, diese auf der Obstplantage ihrer Familie zu bekommen. Tatsächlich findet Samantha auf der Obstplantage langsam wieder zu sich selbst zurück. Die Geschichte von Samantha hat mir gut gefallen, auch wenn Sam mir nicht immer Samantha arbeitet in New York als Konditorin. Die Arbeit an sich macht ihr Spaß, ihr Chef jedoch ist unerträglich. Eines Tages ist das Maß voll und Samantha kündigt ihren Job spontan und reist nach Michigan zu ihrer Familie. Sie braucht eine Auszeit und hofft, diese auf der Obstplantage ihrer Familie zu bekommen. Tatsächlich findet Samantha auf der Obstplantage langsam wieder zu sich selbst zurück. Die Geschichte von Samantha hat mir gut gefallen, auch wenn Sam mir nicht immer sympathisch war und ich ihre Handlungen auch nicht immer wirklich nachvollziehen konnte. Dafür hat mir das Setting aber umso besser gefallen. Diese herrliche Obstplantage habe ich bildlich vor Augen gehabt und mich beim Lesen dorthin gewünscht. Der Zusammenhalt der Familie ist ebenfalls herzerwärmend. So eine tolle Familie sollte jeder haben! Es ist eine eher ruhige Geschichte. Es gibt immer wieder kurze Rückblicke in das Leben von Sams Mutter und Großmutter, aber große Dramen darf man hier nicht erwarten. Es ist ein Wohlfühlbuch. Auch sollte man beim Lesen Papier und Stift bereithalten, um die vielen leckeren Rezepte abzuschreiben, die hier immer wieder eingefügt sind. I really enjoyed this book. I definitely am going to make some of the recipes. I stopped short of five stars because I think Sam had the tools to see her future well before she did. I love the way the adults in this story told the story of the family. Make the days count and honor every day you have. Life is short my friends and Viola (pen name) Wade Rouse; reminds us that in this newest work The Recipe Box. A fab read daring to leave the past behind while confronting the obstacles like fear that prevent us from welcoming change, opportunity, growth, and leaving a lasting legacy. So often we get caught up in making a life we forget to live the live we have. Being present and enjoying the view to slow down enough in making memories to cherish is Make the days count and honor every day you have. So often we get caught up in making a life we forget to live the live we have. Being present and enjoying the view to slow down enough in making memories to cherish is the goal. It's not about who finishes first but rather the dash by Linda Ellis -- Live your dash. This story captivated by heart and soul as it deals with our loved ones, our elders, our most admired and adored generations of long ago. Sam Mullins (main character) must confront her fears of moving on to NYC for job prospects or staying put on her families orchard in Michigan. The desire to make a name and build a strong foundation is what drives her. But life sadly throws curves as she feels overworked, underpaid, and devalued as a sous chef by Chef Narcissist oops I mean Chef Dimples. Now unemployed after telling off Dwight Lilliputh she learns that being strong and independent doesn't necessarily mean flying solo. Her mother Deana and Grandma Willow become her biggest supporters. As she engulfs a new life with new found hope she connects with a past that was nearly lost in a recipe box that holds so much more than mere recipes. What matters most is a common theme here and how to put forth that effort to reap the greatest reward for all not just self. In the end , we must all seek our own individual happiness and in today's world we base that on inconsequential things or material possessions. The heart of the home is not found in the walls or the items but in the hearts, minds, bodies that go forth. "Beauty in the world is more than skin deep." "The only constant in life is change." "Sometimes you have to reveal your soul for the world to see." "You're not running from everything if you always keep a piece of home near your heart." Sam was taught early on to be like the willow to bend not break. I've always enjoyed Wade's work and this one surely hasn't disappointed. In fact I fall in love more and more with each book I read. Thank you Wade Rouse for keeping these by gone days alive in your writing. It's what I enjoy the most because today's world has lost that connection, that love, that warmth, that compassion, that mutual respect and understanding. Our legacies is all we have when we depart and it'll not be measured by likes on social media or acceptance by our peers. Our legacy is measured by how well we lived, our service to others, our love of family, our children who will carry our name. This must not be forgotten that our true colors and staying authentic is the foundation of our character. Or as Naguib Mahfouz was noted in The Recipe Box," Fear doesn't prevent death. It prevents life." "The only constant in life is change. Turnover is continual." Thank you to Wade Rouse for this enjoyable ARC @goodreads giveaway in exchange for this honest review. This book is highly recommended and will be donated for others to enjoy at The Hoyt Library in loving memory of my niece Cassie Ann Gatcha. I enjoyed reading this charming book, complete with family recipes and the instructions intermixed into the storyline. Set against the backdrop of Northern Michigan, Samantha "Sam" Mullins grew up on the land of a family owned orchard. As with many young people, Sam cannot wait to get away from her rural country existence and see the world. After graduating from culinary school, Sam works in New York City as a pastry chef. After she abruptly quits her job, Sam goes back home, ostensibly for her I enjoyed reading this charming book, complete with family recipes and the instructions intermixed into the storyline. Set against the backdrop of Northern Michigan, Samantha "Sam" Mullins grew up on the land of a family owned orchard. As with many young people, Sam cannot wait to get away from her rural country existence and see the world. After graduating from culinary school, Sam works in New York City as a pastry chef. After she abruptly quits her job, Sam goes back home, ostensibly for her Grandma Willo's 75th birthday party. While deciding what she wants to do with her life, Sam learns about the history of the women in her family and how the orchard was once saved by the women opening a pie pantry to offset the devastation loss of the fruit trees during a late spring freeze. My most treasured heirlooms are the recipes passed down to me from my Mom, my Grandma and great Grandma. In the story, each daughter is given their own recipe box with a special key to keep their treasured recipes a secret to be passed down to the women in the family. The women love to bake, and their story is told through flashbacks of the previous generations. The baking is symbolic of their love of family and following the traditions of the past. As Sam learns to appreciate her roots and finds at last what truly makes her happy, we are caught up in the narrative of the story. If you are a fan of heart-felt stories that will whisk you away on a virtual mini-vacation, The Recipe Box by Viola Shipman is one to read. This book is a beautifully written story that will have you longing for a trip to Michigan. It also explores the theme of self-discovery through the use of recipes and a multi-generational cast of characters. Thanks to Goodreads for this lovely book.A homecoming love family the bonus of delicious recipes that you will want to try.Would make a lovely holiday gift. Das Leben in New York verläuft nicht so, wie Sam es sich erhofft hätte. Sie hat sich schon lange nach der weiten Welt gesehnt, doch nun will sie zum Jubiläum ihrer Obstplantage sowie zum Geburtstag ihrer Großmutter nach Hause zurück. Dort backt sie mit ihrer Mutter Deane und ihrer Großmutter Willo die alten Familienrezepte und lernt mehr über die Geschichte ihrer Familie. Sie hat ihre Bestimmung noch nicht gefunden und weiß noch nicht, was sie sich vom Leben wünscht. Liegt ihre Zukunft in einer B Das Leben in New York verläuft nicht so, wie Sam es sich erhofft hätte. Sie hat sich schon lange nach der weiten Welt gesehnt, doch nun will sie zum Jubiläum ihrer Obstplantage sowie zum Geburtstag ihrer Großmutter nach Hause zurück. Dort backt sie mit ihrer Mutter Deane und ihrer Großmutter Willo die alten Familienrezepte und lernt mehr über die Geschichte ihrer Familie. Sie hat ihre Bestimmung noch nicht gefunden und weiß noch nicht, was sie sich vom Leben wünscht. Liegt ihre Zukunft in einer Bäckerei einer Großstadt? Oder auf der Obstfarm der Familie? Und was ist mit Angelo, der sich in ihr Herz geschlichen hat? Sam wird seit Jahren vom Erbe ihrer Familie verfolgt. Sie steht unter Druck, da sie sich verpflichtet fühlt, ebenfalls auf der Obstfarm zu arbeiten und wie die Generationen vor ihr ihr Leben diesem Weg zu widmen. Deswegen flüchtet sie vor dieser Verantwortung und sucht sich Alternativen, und hält dabei Abstand zu ihrer Familie, die sich bei ihr aber die größte Mühe geben und sie mit Liebe überschütten. Sam ist aber ständig ängstlich, weil sie eben niemanden enttäuschen will, aber sie kann sich im Moment einfach nicht festlegen. Ich konnte es schon verstehen, dass sie sich gegen diese "Bestimmung wehrt", aber es hat mich schon ein wenig genervt. Es war mit das Hauptthema des Buches und für jeden Fortschritt gab es wieder Rückschritte, sodass man auf der Stelle trat. Sie betont zwar immer wieder, wie viel ihr die Familie bedeutet, aber wegen ihrer Zukunftsängste erschafft sie eine Distanz und es wirkt, als wäre sie ihr doch egal. Sie wirkte wegen ihrer Unentschlossenheit irgendwie egoistisch. Ihre Großmutter Willo ist meiner Meinung nach der andere Star dieses Buches, da sie sich um die Familie und die Obstfarm kümmert. Aber auch alle anderen Frauen spielen eine wichtige Rolle. Sie alle haben für die Farm gelebt und alles getan, um ihre Familie zu unterstützen und ihre Liebe weiterzugeben. Die Familie hält immer zusammen, durch die schwierigsten Zeiten hindurch, und sie sind immer zur Obstfarm und zu dem Weg ihrer Vorgänger zurückgekehrt, selbst nach vielen Zweifeln. Den Zusammenhalt und die Liebe dieser Familie, die über Generationen getragen wird, fand ich wirklich sehr schön. Ansonsten gab es da noch Angelo, der sehr nett ist und sich ganz eindeutig für Sam interessiert. Er reagiert immer verständnisvoll, ist sehr geduldig und ist auch sonst sehr perfekt. Die Perfektion aller Charaktere - außer Sam - fand ich wirklich anstrengend. Sie sind alle weise und schmeißen mit tiefsinnigen Sprüchen um sich, sie sind geduldig und liebevoll, witzig und sie sagen oder tun nie etwas falsches. Ich hatte das Gefühl, dass sie da sind, um Sam zu unterstützen und sie noch schlechter dastehen zu lassen. Ich fand zwar die Familiengeschichte, die sich über Generationen zieht und durch Rückblicke noch deutlicher wirkt, sehr rührend. Wie sie füreinander da sind und wie die geerbten Rezepte sowie die Obstfarm sie verbinden. Aber ich fand es immer weniger realistisch und schrecklich kitschig. Es war mir oft einfach zu viel des Guten. Schön fand ich aber noch die Gliederung des Buches. Es ist in Kapitel unterteilt, wo es jeweils um ein Rezept mit viel Bedeutung geht, das am Ende des Kapitels auch noch mal niedergeschrieben wird, sodass man zum Schluss etwa 15 schöne fruchtige Rezepte hat, die auch zur Atmosphäre beitragen. Sam trudges to work. It is early in the morning, but New York City is awake and buzzing. Why does she feel this knot of dread in her stomach every day when she arrives at what is supposedly her dream job? Today is different. The cute little bakery is dark and quiet. A note from the head pastry chef alerting their ridiculous boss that she is quitting is the way Sam starts her day. Thi Really loved this one! *The Recipe Box is a charming, sweet treat that I absolutely adored. I was enchanted by the recipe box and the familial stories that were tied into each of the recipes. This is a story about life, love, family and baking. The best part is that the book is packed with mouth watering, scrumptious recipes. *I loved that this novel was all about family and roots. The book is filled with small stories about the women in Sam’s family, from her great great grandmother, Alice, her great grandmother, Madge, her beloved grandmother, Willo, and her own mother. Each woman was instrumental in making sure the family orchard survived for the next generation, and each woman added her own recipes and stories to the treasured recipe box. It was a joy to uncover each recipe and to learn the story behind each recipe card in the box. *This story is a loose collection of familial stories woven around the main story arc that follows Sam as she battles with her personal choices. Will she continue to seek out the world and reach for big city dreams, or will she find love and return to her roots? I think everyone goes through a point in their life when they struggle to find their place and their path. I enjoyed following Sam’s journey. *I loved the strong female characters in this book. Each of the women in the book somehow found a way to save the family orchard during hard times such as the depression and war time, bad weather, illness and death, and the ever changing economy of agriculture. The women made the orchard run, and they did it with luck, love and sheer determination as well as a few sweet treats and recipe boxes. *I was enchanted by the concept of the recipe box. The women believed that baking was an act of love, and they treasured the recipes passed down from woman to woman in the family. I recall watching my own grandmothers bake as a girl, and I am sad that many of my paternal grandmother’s recipes are lost as she mainly cooked and baked from memory. What a treasure it would be to have a recipe box loaded with recipes from my female ancestors. *One of the best parts of this book for me was the delicious recipes. There were some yummy recipes in this book, and I am more than anxious to try them. I loved that at the end of the book, the author shared the true story behind each and every recipe. Make sure you read the author’s notes. *The ending is nostalgic and wonderful. It was perfect. *I loved the women in this book, but I have to admit, I struggled with Sam, the main character. She is constantly pushing away people in her life, especially those who care the most about her, whether it be her family, a man who adores her or her childhood boyfriend. I wish she had been warmer and more endearing. *I was drawn in by so many of the stories about the women who came before, and there were numerous times after a story completed, that I was left wanting more. I especially wanted more of Grandma Willo’s stories. I couldn’t get enough. *The romance was a bit of a miss for me, and I think because it lacked spark because one of the participants is closed off and unwilling to open up and take a chance. The other put themselves out there over and over only to be shut down. That drove me nuts! Thank you, Netgalley, for this arc. I really liked this story, and I think it would make a wonderful Hallmark movie. I love how the story painted itself into living and breathing characters right in my mind - the scenes of NYC and Michigan were both breathtaking and unforgettable. I would love to go to the pie pantry, pick apples, eat apples, and chat and have fun with family and friends. Willo was probably my favorite character, and I also loved how the story flashed back to previous Mullins wom Thank you, Netgalley, for this arc. Shipman’s (Wade Rouse) latest charmer The Recipe Box is all about family, family traditions, family in transition and passing the torch on to the next generation its also about choices and wanting to make your own mark on the world. The main protagonist in this novel, Sam, is a genuine caring woman who is looking for herself and how this intuitive author lets her do that is remarkable. With a soft soothing introspective narrative told in different timelines from the perspective of the amazing women in this family he weaves this tale and draws readers into the life and times of this family of survivors giving the audience a fly on the wall look into their celebrations and sacrifices. The family dynamics are spot-on especially the mother-daughter-grandmother and the tender love stories spun into the fabric of the tale give it heart. But the best part of it all is Love and the family’s motto “Pie equals 3.1415 oh who are we kidding, pie equals love”. The other amazing thing this novel did for me personally was to inspire me to start my own family tradition and this coming Christmas my daughter will receive a special handcrafted recipe box with many of my own favorite as well as recipes from family and friends inside and who knows maybe one day it’ll inspire yet another author to write about it. When Samantha (Sam) Nelson was growing up her family’s multi-generational orchard and bakery business in northern Michigan was her whole world until one day she felt like one of the treats made from leftover dough and sprinkled with sugar and cinnamon called misfits that her family’s bakery was famous for. Then her dreams changed and instead of staying she longed to spread her wings and become a world famous pastry chef. After successfully completing college and culinary training in New York she was well on her way until an unfortunate stint working as a sous chef for a narcissistic former reality show star who couldn’t bake to save his life. Now she’s out of a job, lost with her dreams shattered so she heads to her safe place, home, to lick her wounds with full intentions of heading back to the big bustling city. But while there she’s reminded of the joy of baking with her mom and grandma and learns of the struggles her parents, grandparents and great-grandparents faced keeping the orchard in the family and finds herself rethinking what her dreams really are. I couldn’t be prouder of my new novel, The Summer Cottage, which publishes Tues Welcome! I am honored to be able to write novels for readers like you that are inspired by my grandmothers’ heirlooms, lives and lessons. The stories I write are meant to serve as a universal tribute to family as well as all of our elders, whose stories and sacrifices helped shape us and make us the people we are today. My grandma – a hardworking seamstress – and my grandfather – a former vacuum salesman – used to say that the only things we needed were innertubes, fishing poles, books, and each other. The cabin had a stone fireplace that smelled of smoke, and a tiny upstairs contained 10 cots to hold all the visiting grandchildren and relatives. But the best thing about that cabin on the water is that I got to know my grandparents not only as my grandparents but as real people. My grandma and I read to each other every day – from the Bible or a dime store paperback – and she encouraged me to write. I could always feel the love my grampa had for my grandma reverberate in every log, chink and mossy steppingstone in that cabin. My grandparents taught me that even the tiniest of cottages could feel like mansions if they were only filled with love. Those summers on the water and that cabin so influenced me that I moved from the city as an adult and bought a knotty pine cottage in the Lake Michigan resort town of Saugatuck (where The Summer Cottageis set!). That’s where I now write novels and recreate the summers of my childhood with family and friends. There are special places all of us return in order to reunite with family and escape from the real world, and The Summer Cottage celebrates those places and memories. I may have a TV at my cottage, but I don’t use it in the summer. I have books, innertubes, fishing poles, a screened porch and the water. And every summer day I celebrate the lessons my grandparents taught me: That the best gifts in life are truly the simplest and that all we really need is each other to be happy. I truly believe that the journey of the main character, Adie Lou, to finding happiness will resonate deeply with you, especially considering that as we age we too often realize we have lost our childhood joy and that playing by adult rules is not always the best path to happiness. That's why each chapter of the novel is centered around a beloved "Cottage Rule" of my family and my friends, such as: "Leave Your Troubles at the Door! ", "Soak Up the Sun! ", "Wake Up Smiling! ", "Go Rock Hunting! ", "Ice Cream Is Required!" and "Go Jump in the Lake! ", simple rules that center us, remind us of what's most important and remind us to be a kid again.